The word is out, and it’s no secret that the future of digital marketing relies on the power of smart speakers. With how incredibly popular they are and how many people now own more than one smart speaker device for their household, it makes sense that these tiny pieces of technology have found a way to improve our lives and help us get our message out there to a larger audience of people. However, since the population of devices is so much bigger than it was before, we need to know which smart speakers are the best when paired with our new and current smart speaker marketing strategy. 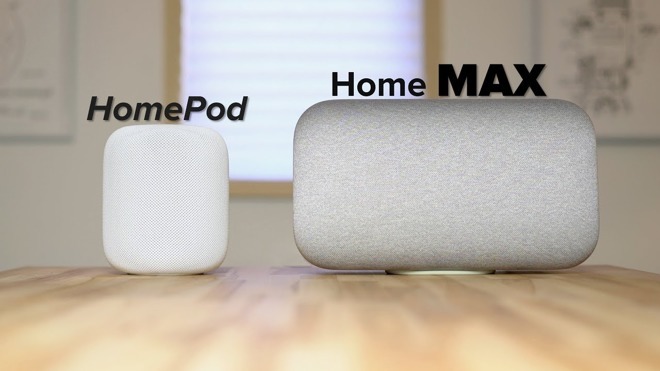 When taking into consideration the Apple Homepod vs. Google Home, we need to make sure that we understand what each speaker has to offer, how they differ from one another, and how their functionality can affect the brand message we want to project into people’s homes. Being efficient is the key, and making sure that people are hearing us crystal clear tops the list of importance when it comes to smart speaker marketing. That’s what we’re here to talk about today—with so many options for smart devices out there, you need to know what each one does, how they do it, and if what they’re doing is something that aligns with your business strategy. With the help of things like AI assistance, the ability to complete and conduct simple tasks with voice command, and getting your information from one amazing source, the debate of the Apple Homepod vs. Google Home is something you’ll want to stay tuned in for. Let’s get started! Before we can get into the debate of the Apple Homepod vs. Google Home, we have to understand what each smart speaker does and how they do it. Smart devices are slowly but surely powering our everyday lives, and a recent study shows that within each household are 3-5 smart speaker devices. This means that many people own one of each of these things. This makes the market open, available, and easy to reach across through multiple platforms. First, let’s tackle the Apple Homepod. An Apple product, this amazingly sleek speaker is designed to give you the best sound quality possible in any given location you place it in. The cylindrical shape of the Homepod allows for its six microphone placements to hear your voice from any given distance, making the ability to listen to a variety of things from room to room easier than ever with the power of voice command! Additionally, a friendly AI assistant—Siri—can help you with day to day tasks that need completing. From listening to news updates to receiving information about your scheduled events, the Apple Homepod is dedicated to giving you a clear and concise answer to whatever you ask it, putting it a step above in sound quality and clarity. Alternatively, Google Home works a little different. It’s smaller design allows the Google Home to fit into any room with ease, making it an unseen helper any time you might need it. Like the Apple Homepod, the Google Home can also help with a large array of day-to-day tasks. By simply starting a sentence with ‘okay, Google,’ you can ask your device to also give you updates on the daily world—news reports, calendar events, and pieces of information you’re looking for can all be collected in a split second with Google’s intuitive voice recognition. 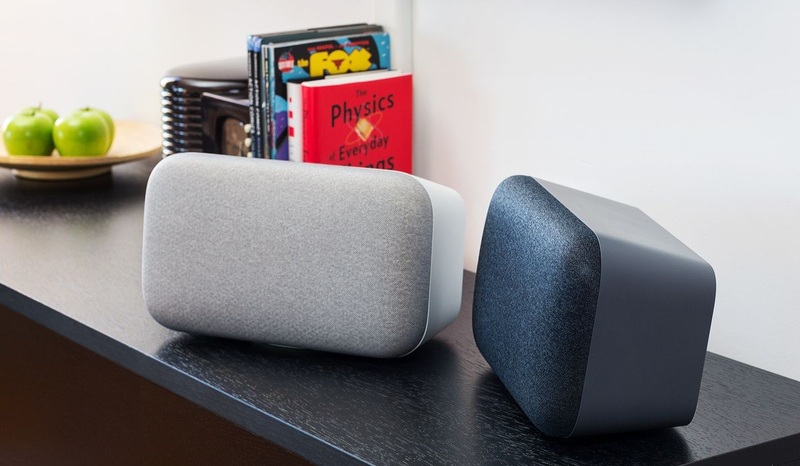 The size also allows you to have more than one Google Home device in the same room, allowing for an amazingly fulfilling surround sound effect. With how awesomely responsive the Google Home smart speaker is, the icing on top of the cake is that the Google Home is currently compatible with nearly 5,000 smart devices! Covering over 150 brands, this means that you can connect nearly anything—your smart TV, your smartphone, your computer or laptop, your tablet—to your Google Home, allowing you to get the most out of the sound quality and giving you hands-free capabilities to listen to audio from your phone or your tablet while doing other household tasks. So, now that we know what each smart speaker can offer, how do we go about choosing the best one for your marketing strategies? When it comes to the Apple Homepod vs. Google Home, it’s a matter of what you can and cannot stream through either device and how the hottest new trend in smart speaker content marketing can reach your audience. Right now, Amazon has capital on something called flash briefings. A flash briefing is a quick clip that people can listen to that explains who you are, what your business does, and a marketing tip that people can implement in their everyday lives. These flash briefings are usually around 60 seconds long, give or take, and they offer people a chance to become acquainted with your brand without having to reach out to you directly, giving you a chance to build leads without having to be there to nurture the lead into coming to you. The flash briefing does that all on its own! However, with the product of flash briefings belonging to Amazon and Alexa, how do we tap into this amazing source of smart speaker marketing when we’re focused on the Apple Homepod vs. Google Home? The good news is that both devices are currently in the works to collaborate with Amazon in order to cross-stream these amazing flash briefings through their speakers, allowing anyone with a smart device to tune into these amazing updates as they listen to the news every morning. It’s a great way to guarantee that your newly acquired audience can keep up with the amazing work you do while also incorporating yourself into their daily routine, making you a permanent fixture in their household! With the notion of flash briefings heavily on the horizon, it’s important to know how each smart speaker can play into that amazing marketing opportunity in their current states, starting with the Apple Homepod. 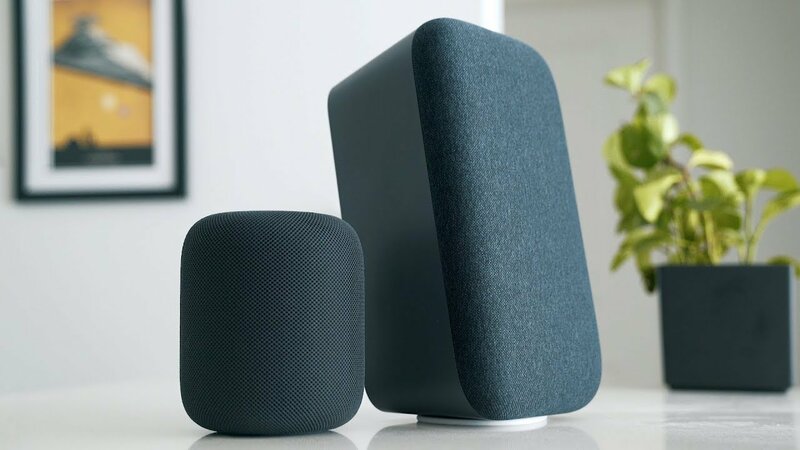 As previously stated, the amazingly sleek design the Homepod allows the speaker to blend into any environment, making it easy to work into any environment! In your home, your office, or on the go, the Apple Homepod can give you the best quality of sound while making itself part of the location you place it in, making it a step above the rest. Additionally, those 6 microphones placed around its cylindrical design allow you to exert complete control over your voice commands. Being able to shift from room to room in order to listen to the best content you can from your Apple devices—such as a podcast file from your iPhone, or a live stream from your favorite marketer that gives you the best tips and tricks for your next marketing strategy—makes the Apple Homepod an instant pick when you’re thinking about establishing a strong presence in someone’s home. You want to make sure that you can find a way to stay present in your audience’s lives, and that’s where things like flash briefings really come in handy. Any way to increase the number of times someone can listen to your message will provide successful in the end—that’s how leads get started! Where the Google Home is concerned, they have a bit of an upper hand. While the Apple Homepod can connect to any Apple device, the Google Home can connect with devices from over 150 brands. That means that you can use your Google Home to connect to your Amazon tablet, allowing you to listen to these flash briefings through Alexa and giving you a chance to get in on the game before anyone else realizes that it’s started. It’s definitely something to think about when you’re trying to create a successful marketing strategy, that’s for sure. Additionally, the Google Home is small enough to fit more than one in any living space, and the amount of time that people can spend in their homes is useful when talking about making sure that you’re taking up a large amount of space in a market that, right now, can definitely afford it. The Google Home is also incredibly responsive to your voice commands, and since cross-streaming through a variety of devices has already proven to be successful with your Google Home, you can rest assured that people can stream a variety of your content through their amazing smart speaker device. Podcasts, live streams, YouTube videos and more are all topping the list of audio files that people can stream through their Google Home. Those paired with the intuitive and incredibly easy to use flash briefings give you an opportunity to put your foot in the door of an audience that, until now, has remained cold and unattainable. This way, you’re covering more than one base and allowing yourself to get your message across through a variety of avenues. Consistency continues to be the key with all digital marketing strategies! In the end, when creating marketing strategies for the Apple Homepod vs. Google Home, you need to use a collaborative effort in order to realize the kind of content that can be streamed through either device and make the most of what you think will work. With how popular flash briefings are becoming, you want to make sure that you can create the same sort of content—short, sweet, and to the point—for devices that haven’t tapped into that kind of marketing platform yet! Additionally, it’s important to remember that the technology of flash briefings will be coming to both of these smart speaker devices soon and that getting on board with the growing trend of flash briefings while space isn’t oversaturated with marketers and business owners is important! There’s room right now for us to harness this amazing power and allow it to grow our audience and reach out to new people through something we hadn’t thought was attainable before—smart speakers in their homes! By implementing a strong marketing strategy that makes us apart of someone’s everyday routine, we’re cementing a place for our brand in their lives, and that’s what outreach is truly all about. 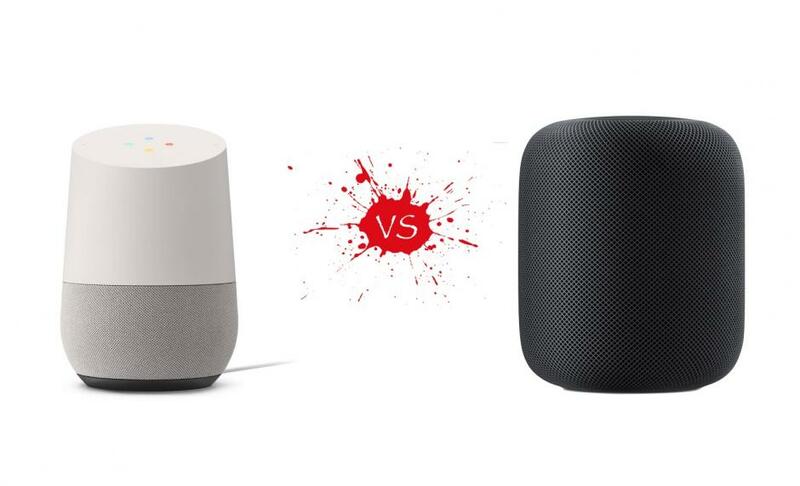 Apple Homepod vs. Google Home is an important contest to consider, but it’s even more important to recognize the power that lies within both smart speaker devices. Allow yourself to use the best sound quality and voice recognition with the Apple Homepod, and enable content that can be cross streamed through a variety of smart devices with the Google Home. Together, both of these products are a part of the new wave of smart speaker marketing, and it’s important that we recognize that when creating the amazing content that’ll bring that new audience right to our technological front door.